This week, I spent some time with a Celebrant. We discussed her work in helping people embrace a transition and personal transformation, and naturally I shared my enthusiasm for Divorce Ceremonies. It’s no secret, I feel downright passionate about marking the occasion of a divorce (we deserve to celebrate!). I often write and talk about the importance of ritual in our culture, and how a ceremony can offer closure as well as recognition of a new beginning. It’s a big deal, and deserves a big to-do. But, perhaps there’s something I’ve been missing. Because divorce is such a big deal, it tends to be a long process full of intimidating tasks and emotional twists and turns. As important as it is to mark the occasion of starting a new chapter, it’s also important to celebrate the small stuff along the way. Opening an individual checking/savings account. When you celebrate the small stuff, you’re not just recognizing your personal progress. You’re also training your brain to focus on accomplishments rather than setbacks. This type of attitude adjustment will continue to benefit you in all areas of life as you take on whatever challenges might arise. 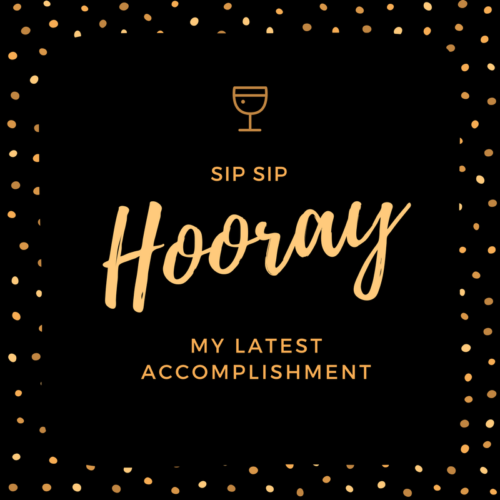 What mini-milestones have you celebrated? And how have you marked them? Posted in divorce and tagged celebrate, celebrate the small stuff, divorce.